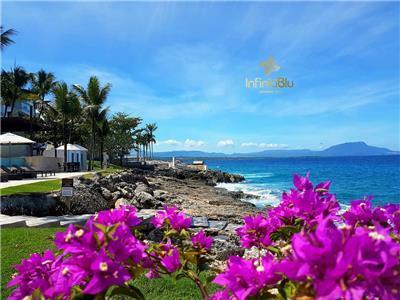 Infiniti Blu is a luxury resort located in Sosua, a small but lively beach town on the North Coast of the Dominican Republic. If you’ve dreamt of having an unforgettable Caribbean beach vacation in the Dominican Republic filled with tropical beaches and new experiences, Infiniti Blu might be the place you’re looking for. 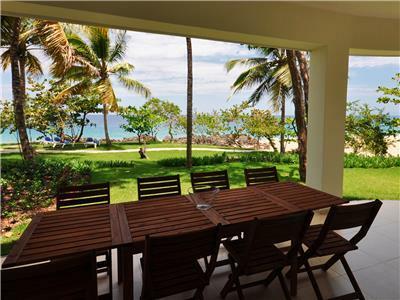 Perfectly located between the Puerto Plata International Airport (10-minute drive away) and one of the most prominent water sport destinations of the Caribbean, Cabarete, one finds the Infiniti Blu Luxury Ocean Front Condominium Complex. The Infiniti Blu Luxury Ocean Front Condominium was founded and developed in 2010 and carries the quality mark of successful power couple Silke and Sepehr Sadeghi behind Sadeghi & Sadeghi Architects. Their combined highly impressive CV includes large scale project developments in Europe dating as far back as 1990, as well as the creation of some of the most prestigious and exclusive villas on the North Coast on behalf of real estate investors. The tight knit cooperation between the developers, alongside their innate ability to fuse quality with design truly makes Infiniti Blu a one of a kind project in the North Coast. 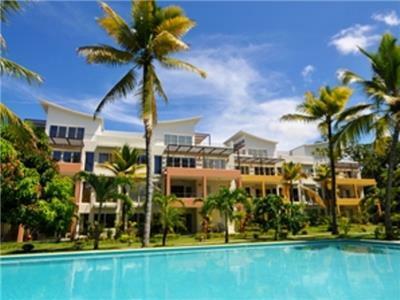 Equipped with first class beach condos designed in a modern and contemporary style with enchanting and lush garden rich with tropical plants and trees, this well renowned residential area provides luxury living with a Caribbean twist. Endless possibilities of leisure, pleasure and relaxation are provided through amenities such as a gorgeous semi-private beach resort in the Dominican Republic with crystal-clear waters, an inviting oceanfront infinity pool, a second and larger pool ideal for swimming laps and for children to play, 24-hour security and excellent concierge service. A buzzing nightlife, restaurants, shops and cocktail bars can all be found within walking distance from the complex. The Infiniti Blu Premium Club offers exclusive complimentary services for those who wish to add something extra to their vacation experience in the Dominican Republic. This membership invites you to luxuries including but not limited to access to , water delivery, 24/7 technical support, cleaning services, snorkeling gear, high-speed internet and discounts in the businesses located in the Infiniti Plaza. The devoted Infiniti Blu concierge team, available seven days a week, will gladly fill you in on the rest of the goodies a Premium membership invites you to. 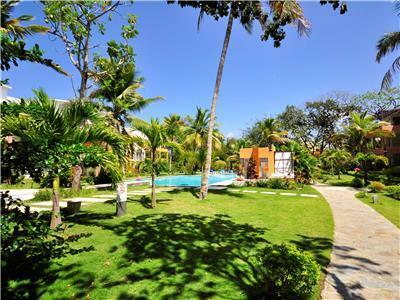 Looking for a short-term rental or long-term rental in Sosua, Dominican Republic? Sosua holds a reputation as one of the most popular touristic destinations of the North Coast of the Dominican Republic. 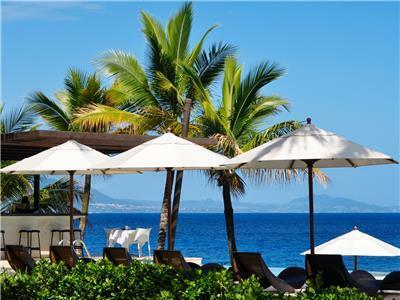 The picturesque little town of Sosua is known for its perfect location between the buzzing city of Puerto Plata and the more laid back and active beach town of Cabarete. 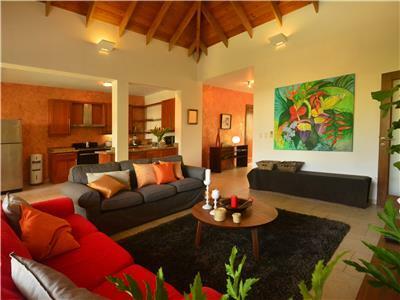 Whether you want to stay in the Caribbean for vacation or spend a few months in paradise, we offer both short and long-term rentals. 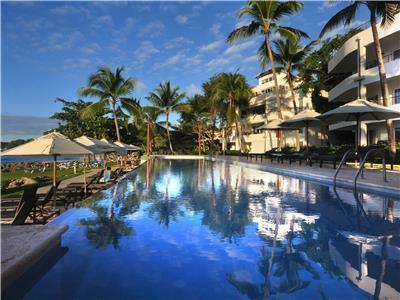 Get in touch today and book your beachfront condo in Sosua with Infiniti Blu. Look no further than the Dominican Republic. This island has some of the best beaches to visit in July that you could wish for. Come with us and be part of an unforgettable experience with one of the most outstanding Latin American music performers.- Tickets For sale in our Premium Club Lobby!